Do you believe in luck? 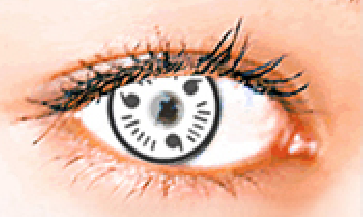 Douse yourself with good luck with Coco Contact’s White Itachi lenses. With a predominantly white rim and a touch of black symbols, one look in your eyes would say a lot.